This help note will explain how to connect and update Calxa from your Xero company data. Click on the Create New From drop down button and select Xero. Select Long Term Access Token. Note: Long Term Access Tokens have recently been introduced, and in the near future we will only support this method. For a short time we will continue to support 30 Min Access Tokens (the original access method) until we are absolutely certain Long Term Access Tokens are working as expected. 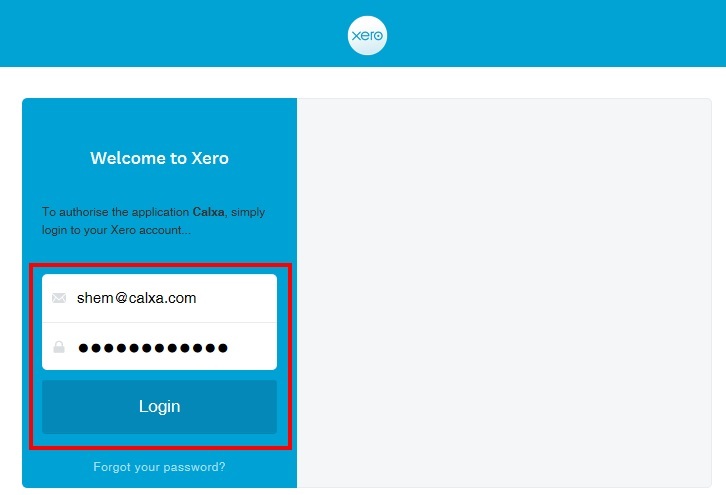 On the Xero Authentication screen, enter your Xero credentials and click Login. Select which organisation Calxa can access and click Authorise. 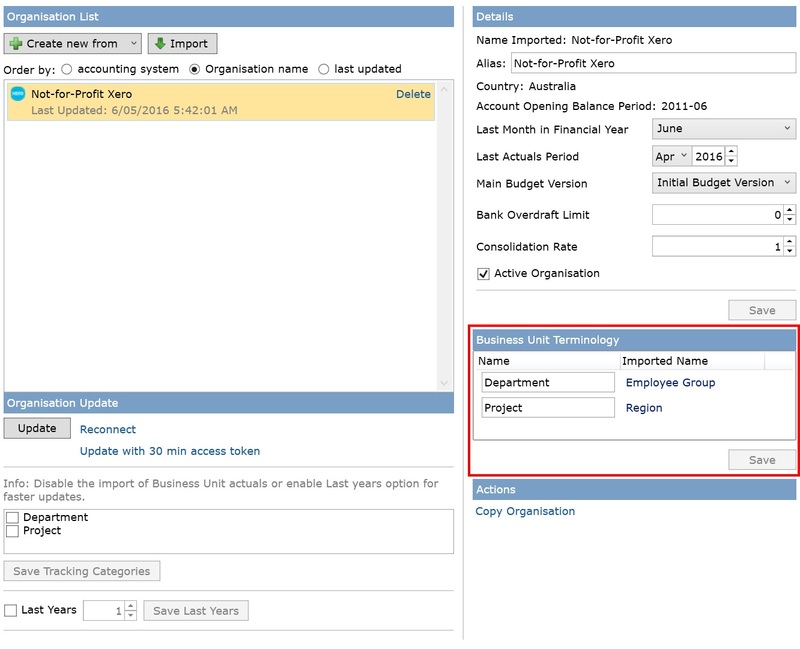 Select which Business Unit actuals to import and click OK. Note: Save time by only selecting the business units you will be reporting on in Calxa. 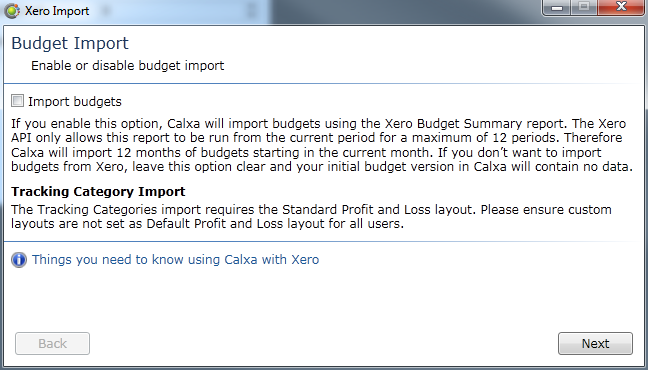 Select Yes to import the Xero overall budget or No to create your own budgets in Calxa. Calxa will then process the information from Xero; this may take a few minutes. 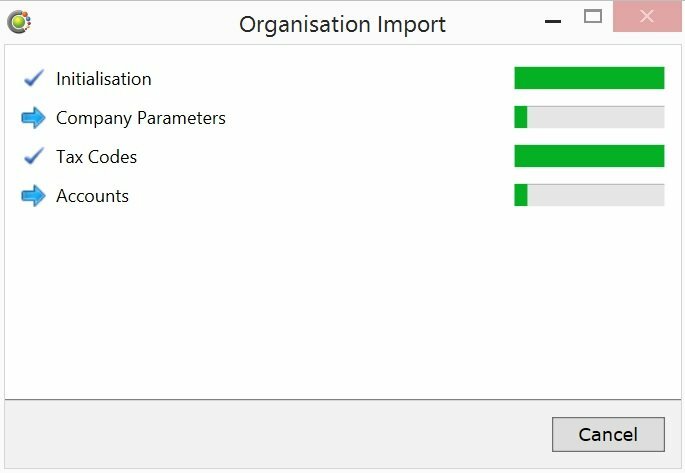 When complete the organisation will be listed in the Organisation List. Calxa broadly refers to cost centres including the organisation as Business Units. On your initial import, Calxa associates Xero Tracking Categories to the default Calxa Business Unit Terminology of Department and Project. You may however manually change the terminology settings to match that of Xero or some custom configuration. Set your update options and click Update. Business Units: Only check the business units where you require the latest actuals. 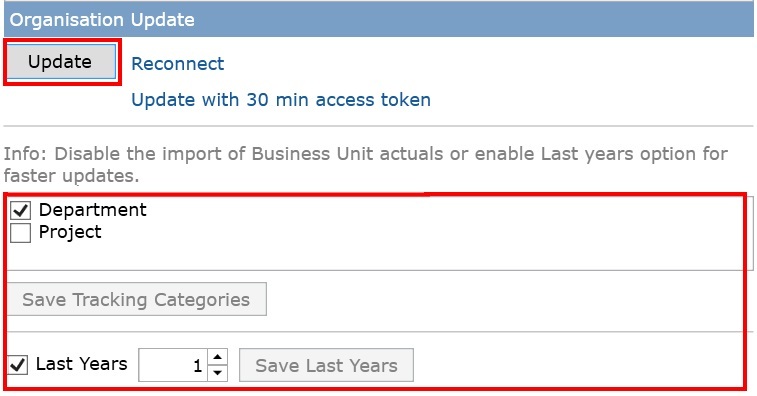 Checking additional business unit types will unnecessarily increase the time taken to update. Last Years: Check the Last Years option for faster updates. This restricts the update to a minimum number of years starting with the current financial year working backwards. 2 years will update the current and previous financial years only, thus saving time if you have multiple years of historical data. When complete the Last Updated Date will be updated in the Organisation List. 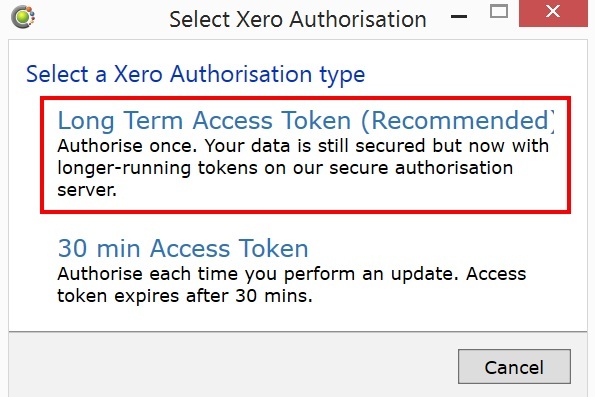 To reset the long term authentication token to your Xero file follow the steps below. Click on Reconnect next to the Update button. 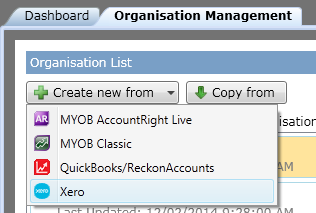 Now follow the instructions in steps 4.-5. shown above in Create Organisation from Xero. Once you have completed that return to step 4. below.